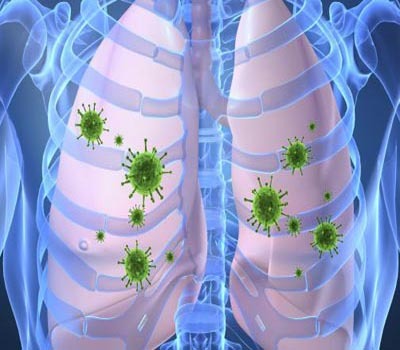 Patna - With 100 plus deaths daily, pneumonia has emerged as a leading cause of deaths among children under 5 years in Bihar, a survey report said and recommended the government to launch a special drive like the one for polio. The research study funded by Bill and Melinda Gates Foundation in five districts of Bihar along with nine in Uttar Pradesh came out with this startling data. Shally Awasthi, Professor, Department of Pediatrics in King George's Medical University (KGMU), Lucknow, who headed the survey, told a seminar at AIIMS Patna that 40,480 pneumonia deaths have been reported annually in Bihar. Patna, Nov 1 : Launching a frontal attack on Nitish Kumar, Bharatiya Janata Party (BJP) leader Sushil Kumar Modi on Saturday said the decision to terminate the state assembly membership of four Janata Dal (United) MLAs as undemocratic, and added that this had been done on the orders of the former Bihar chief minister. "The base on which their membership have been cancelled is very undemocratic. We expect the Speaker to be unbiased, but the person has worked as if he is a member of the party. This is a dictatorship attitude and all has been done on the orders of Nitish Kumar," said Modi. Patna, June 18 : Rashtriya Janata Dal (RJD) chief Lalu Prasad Yadav, on Wednesday declared his party's support to the Janata Dal United (JD-U) candidates who are in the fray for the Rajya Sabha bye-elections. "We will not allow the BJP's gameplan to destabilise this government. RJD will support JD-U candidates for Rajya Sabha polls. We must forget the past and move ahead. Gautam Buddha had said one should think about the present and not the future, our decision is based on the current situation," the RJD chief told media. Patna, May 17 : BJP termed Bihar Chief Minister Nitish Kumar's resignation as a "natak" only to put pressure on ruling JD-U legislators who are likely to desert him after the party's rout in the general elections. Nitish Kumar resigned Saturday, taking moral responsibility for the debacle of his party in the Lok Sabha polls in the state. Senior BJP leader and former deputy chief minister Sushil Kumar Modi described the resignation as a political stunt and a drama. Patna, May 17 : Bihar Chief Minister Nitish Kumar decided to step down from his post on Saturday afternoon after several ministers and Janata Dal (United) members of the legislative assembly squarely blamed him for the defeat of the party in the 2014 general elections. Reports said that sources at the chief minister's office and residence, and Raj Bhavan sources have confirmed that Kumar had submitted his resignation to Bihar Governor Dr. D. Y. Patil. Patna, May 16 : Thanks to the wave in favour of Narendra Modi, the BJP-led NDA Friday crushed Bihar Chief Minister Nitish Kumar's JD-U and the RJD-Congress combine by winning 31 of the state's 40 seats. The result surprised leaders of the Bharatiya Janata Party-led National Democratic Alliance. "It is really the biggest-ever victory for the BJP in Bihar, all thanks to the party's prime ministerial candidate Narendra Modi," said senior BJP leader Nand Kishore Yadav. The Congress-Rashtriya Janata Dal combine in the state won seven seats and the ruling Janata Dal-United won only two. Motihari (Bihar), May 9 : BJP's prime ministerial candidate Narendra Modi Friday said communal, vote bank and dynastic politics have ruined the nation. "Vote bank, communal and caste-based politics have ruined the country," Modi said at a election rally here. Addressing the rally when Modi asked whether the country should be freed from such politics, the people responded with a roaring "yes". Valmiki Nagar (Bihar), May 7 : BJP prime ministerial candidate Narendra Modi Wednesday launched an attack on the Congress by saying that the party would be unable to open its account in many states in this general election and might even lose in Gandhi family bastion Amethi. "While I am fighting to save the nation, they are trying to prevent me from coming to power," Modi said, addressing an election rally here. He added that there will be several states where the Congress will not even open its account and that it is losing even in the Gandhi family home turf of Amethi. Patna, May 7 : A court case was filed against Priyanka Gandhi Wednesday for her remarks on BJP's prime ministerial candidate Narendra Modi, terming his speech in Amethi as "neech rajniti" (low level politics). The case was filed by a BJP leader. "I have filed a case in Patna civil court against Priyanka Gandhi for insulting and hurting the sentiments of the lower castes," Surajnandan Kushwaha said. Patna, April 30 : BJP's prime ministerial candidate Narendra Modi Wednesday said India should have a strong government at the centre, and it was certain that his party would come to power. "There is a need of a strong government in the country, unlike the weak and deathbed-ridden mother-son government," Modi said at an election meeting at Saraiganj in Ujiyarpur parliamentary constituency in Bihar. The Bharatiya Janata Party leader said he was confident that the Congress-led government will be ousted and a new government led by the BJP will be formed after May 16, when the results are announced. Nawada (Bihar), Apr 2 : Bharatiya Janata Party (BJP) prime ministerial candidate Narendra Modi on Wednesday said the central government is more interested in pink revolution over the green revolution or the white revolution, and added that it is giving subsidies to mutton exporters instead of farmers. Sasaram/Gaya (Bihar), March 27 : BJP's prime ministerial candidate Narendra Modi at the election rallies in Bihar Thursday hit out at the Congress for neglecting farmers, who are fighting for survival without adequate power and water for irrigation. He also questioned the Congress manifesto for the Lok Sabha polls, saying the party has only made false promises. "Only during elections does the Congress remember the poor and claims to be pro-poor. But the Congress-led UPA has hardly fulfilled its promises made to farmers and the poor," Modi said at public meetings in Sasaram and Gaya parliamentary constituencies. Purnea (Bihar), March 10 : BJP's prime ministerial candidate Narendra Modi Monday said Bihar Chief Minister Nitish Kumar's ambition for the prime minister's post led to the break up of the alliance between the JD-U and BJP. Addressing a rally here, Modi said that at that time the Bharatiya Janata Party was not sure why the Janata Dal-United broke the partnership. "Now we know why he (Nitish Kumar) broke the alliance... The dream of becoming prime minister was not letting him sleep," Modi said. He also took a dig at the Third Front saying it has a dozen prime ministerial aspirants. Patna, March 4 : Bihar Chief Minister Nitish Kumar Tuesday said there is "no question" of an alliance between his party Janata Dal-United and the Congress, ending speculations in this regard. "There is no question of an alliance between JD-U and the Congress," Nitish Kumar told mediapersons here. "We (JD-U) have already joined hands with the Left parties, including CPI, to contest polls in the state. How can we have an alliance with the Congress," Nitish Kumar said. He also denied that JD-U leaders had met Congress leaders on the issue. Muzaffarpur, March 3 : Lok Janshakti Party (LJP) chief Ram Vilas Paswan Monday pitched for Narendra Modi as India's next prime minister and said caste politics must be shunned for development-oriented politics. "I see this huge turnout as a commitment to ensure that Narendra Modi and the BJP win the Lok Sabha election," Pawan told a huge rally here, sharing the stage with Modi. "Modi, who is born into a poor family, understands your emotions," Paswan added. "Forget caste-based politics. Chose those who do development based politics." Patna, Jan 20 : Bihar Chief Minister Nitish Kumar Monday directly attacked BJP's prime ministerial candidate Narendra Modi by saying that neither can the 2002 Gujarat riots be forgotten nor people behind it be forgiven. He also ruled out his JD-U's alliance with the Congress for the Lok Sabha polls. "One thing is certain. Neither 2002 Gujarat riots can be forgotten nor people behind it be forgiven," Nitish Kumar told media persons after his weekly "janata darbar" here. Patna, Jan 19 : The Aam Aadmi Party (AAP) will field a cobbler or rickshaw puller against Lok Janshakti Party (LJP) leader Ram Vilas Paswan in the Lok Sabha election, a party leader said Sunday. "The AAP has decided to field a 'common man' against Paswan. The candidate may be a hard-working cobbler or rickshaw puller," AAP convenor Somnath Tripathy said. He said the party will target Paswan as both Chief Minister Nitish Kumar and Rashtriya Janata Dal chief Lalu Prasad will not be in the fray - for different reasons. Patna, Jan 10 : The delectably sweet and juicy litchi, hitherto a summer fruit, is now being cultivated in winter, thanks to a successful experiment in two southern states by the Bihar-based National Research Centre for Litchi (NRCL), an official said.